Home is a place where you can be yourself, make your own decisions, and have a place to call your own. 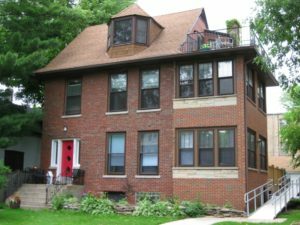 If you or someone you know is looking for a new place to call home, Center for Independent Futures would love to share opportunities available in a Community Living Option. 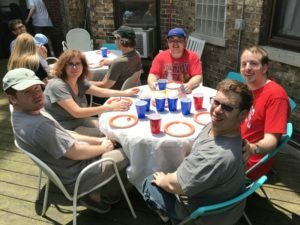 Located in Evanston, Illinois, this residence provides individuals with disabilities supports to live independently. This Community Living Option has two openings in its first-floor, wheelchair-accessible apartment. The building is on a quiet street within close walking distance to restaurants, shops, public transportation, parks, a post office, and a library. It has free laundry facilities and storage in the basement. A staff member called a Community Builder lives on the third floor and provides overnight support, daily check-ins, weekly meetings, and social events planned with input from the community. The apartment with openings has a total of three bedrooms and two bathrooms, one recently renovated, a large-screen TV in the living room, and a dining room with a table big enough for community meals. One individual, Jonathon, currently lives in the first-floor apartment. 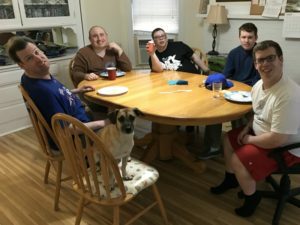 Jonathon, who recently celebrated his tenth anniversary of living independently, is excited to welcome new housemates who are kind, thoughtful, and enjoy music. New residents and their families would be able to get to know the community through their potluck dinners and other events, including a traditional Fourth of July cookout. Center for Independent Futures provides personalized supports for each resident using our person-centered approach to creating a full life. 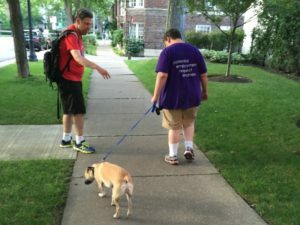 Our residential and educational model offers adults with disabilities opportunities to learn independent living skills in a safe and supportive environment. In addition to Community Builder support, each resident works one-on-one with a Skills Tutor to strengthen independent living skills. Together, residents and Center for Independent Futures staff foster individual choice and exploration while supporting community connections. If you think this community sounds like a good fit for you or someone you know, call us at (847) 328-2044. For more information about our Community Living Options, visit this link. BLOG UPDATE: January 15, 2018 – In addition to the space at Harrison Street, a one-bedroom apartment will be available soon in the Chicago Avenue Apartments Community Living Option. Next Next post: California, Here We Come!